Home School News School Board, Teachers at Impasse: How Do Brick Teacher Salaries Compare Locally? School Board, Teachers at Impasse: How Do Brick Teacher Salaries Compare Locally? The Brick Township Board of Education has now formally declared an impasse in negotiations with its teaching and much of its support staff, with members confirming that offers were made but not accepted by the Brick Township Education Association, the local teachers’ union. The BTEA represents classroom teachers, special education teachers, nurses, special services personnel, librarians, student service personnel, athletic trainers, attendance officers, instructional coaches and teachers’ aides. Negotiations are private and subject to state confidentiality laws as well as attorney-client privilege. “I understand the public interest in the issue, but understand that the negotiations, and how they play out, is something that’s done in private,” said Benjamin Montenegro, one of the board’s attorneys. Fanelli voiced concern over the cuts agreed upon by Gov. Phil Murphy and legislative leaders that will slash Brick’s school funding by $22 million over seven years, after which the $22 million cut will be permanent. The same law calls for tax increases up to the maximum level each year allowed under the state’s 2 percent cap law. “As a taxpayer, we know what we’re facing for the next seven years,” he said. 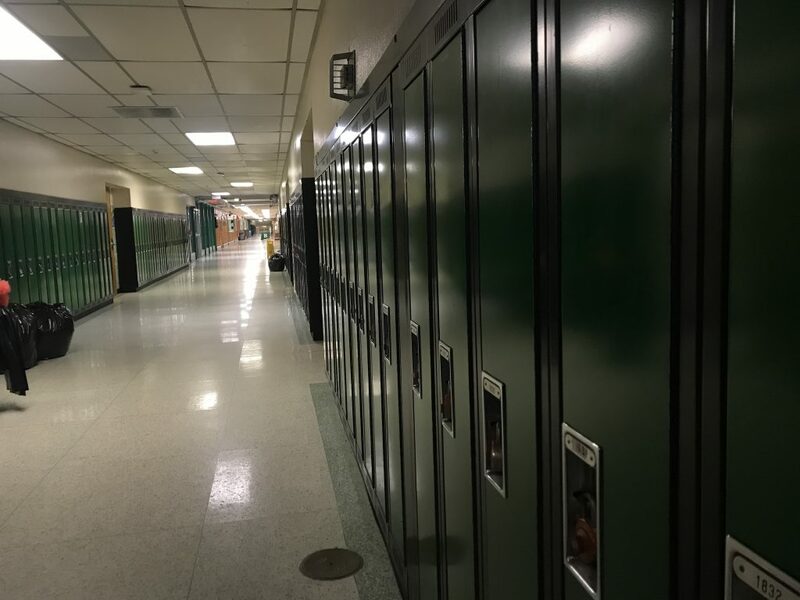 Likewise, sources have said teachers are also struggling with the scenario, and have voiced concern that there may not be funding in the current year’s operating budget to accommodate a raise. The formal impasse declaration will trigger mediation between the two parties. It could also bring the hiring of a neutral fact-finder whose services are jointly funded. If no agreement is reached through the fact-finding process, the fact-finder issues a report. Ten days after the report is issued to the two parties, it is required to be made public, and the district and bargaining units have 20 days to reach an agreement. If no agreement is reached, the next step is to initiate a process known as “super conciliation” under which a “super conciliator” with subpoena powers is hired to help the two parties agree on a contract. The conciliator can take major steps, including mandatory, intensive 24 hour-long negotiating sessions, to reach an agreement. If an impasse is still in place, another report is issued which follows the same public disclosure and party deadlines as the fact-finding effort. Since super the super conciliation process was created in 2003, it has never resulted in a report being issued – parties always agreed to a contract at some point. The 2003 law is effectively silent on what would happen if the impasse remains after super conciliation ends. While the negotiations between the union and school board are private, teacher salaries in Brick are public – and can easily be compared to other districts across the state. The value of teacher health benefits is murkier since the district utilizes self-insurance rather than the state public employee health benefits plan. Teachers contribute to their health insurance plan premiums based on a contribution law approved by former Gov. Chris Christie in 2011, though the law has since expired, leading teachers in some districts to demand relief from the contribution levels prescribed by the former statute. Contributions ranged from 3 percent for employees earning less than $20,000 per year to 35 percent for those earning more than $95,000 or $110,000 per year, depending on the type of plan they receive. In Brick, the median teacher salary during the 2016-17 school year was $66,370, according to state data. The median salary rose to $68,405 for the 2017-18 school year, the final year of the current contract, which ended July 1. Since a new contract agreement has not been reached, salaries (and terms of employment) remain guided by the former pact, which began with the 2015-16 school year. The median salary for a teacher in Brick is slightly higher than the state median of $67,812. A first-year teacher with a bachelor’s degree in Brick earns $51,565 per year. Brick’s teachers serve under a 21-step contract. By the final step, a teacher with a bachelor’s degree earns $89,010. A teacher with a masters degree starts at $52,380 and tops out at $90,335. The full salary guide is displayed below. State data shows how Brick’s teachers are compensated compared to their counterparts in other local districts – and across the state. In Toms River, the median teacher salary was significantly less last year. For the 2017-18 school year, teachers in the Toms River Regional district earned $61,006, about $7,000 less than those in Brick. Toms River’s median salary actually decreased by about $3,000 between last year and the prior school year. Jackson’s teachers also had a lower median salary last year, of $61,732. In the Point Pleasant Beach district, the median was $66,473, and in Lacey Township, the median was $64,940. In Ocean County, the only large school district with a significantly higher median salary was Southern Regional, at $80,342. 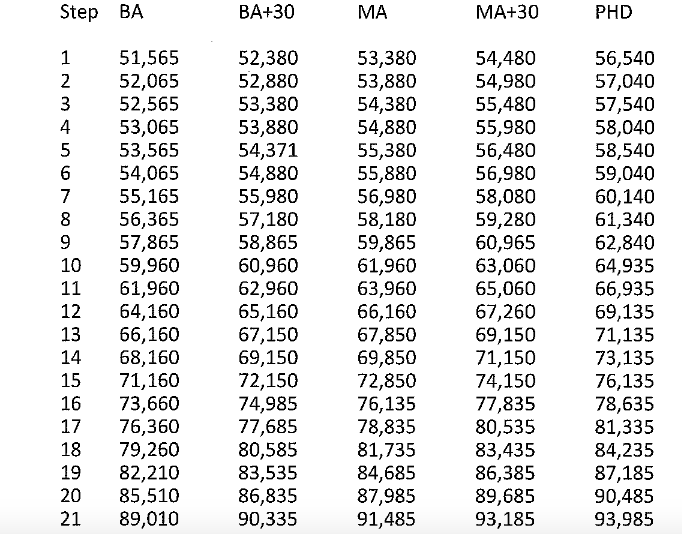 Statewide, the highest-paid teachers, ranked by median salary, were employed by the Northern Valley Regional school district in Bergen County, at $108,867. The lowest median salary was in Milford, Hunterdon County, at just $48,007. Whether Brick’s teachers will receive a raise – and how much it may be – will be a function of the mediation and the steps that could potentially follow. “It’s another step in the process, but it’s not an end to the process,” he added. The impasse, which was declared via a formal resolution at the Nov. 15 board meeting, is the district’s first since 1985, according to state records.